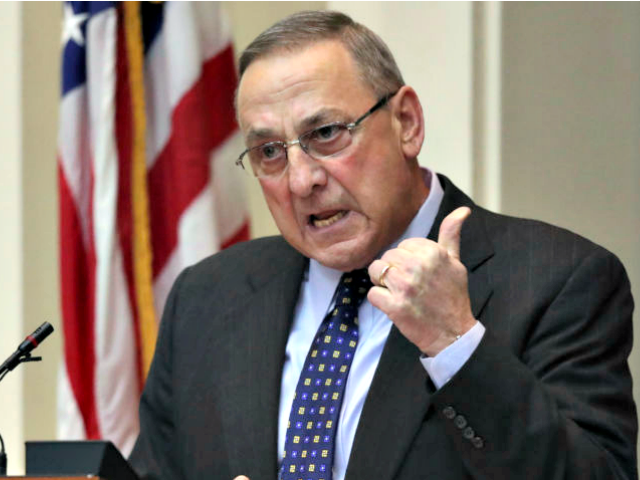 Maine Republican Governor Paul LePage said on Friday that he would reject the latest budget deal from a bipartisan group of legislators, warning that state government would shut down if Democrats do not agree to cut taxes and reduce spending. Governor LePage demanded that the two-year budget proposal rescind a three percent surcharge tax on household income over $200,000 that voters approved in a referendum last fall. The proposed budget would also increase education funding by $162 million. Governor LePage has ten days to respond to any budget sent to his desk; most of the state government would shut down during that time frame. It was only when they when Democrats face a government shutdown that they said that they won’t punish people like that. I think the idea that you punish 11,000 small businesses and some of our most successful residents to dump more money into government systems that are already outspending what they should be is a failed idea. We, the state party, have been saying from the beginning that all these Democrat groups are trying to do is give us a more expensive education system and the status quo. If you don’t want reform the system, if you don’t want to make it better, you don’t get more money, because you’re not doing your job. You know, over years and years education funding has increased, enrollment has dropped, and they’re not doing anything with that money to make education better. What Republicans have said was that for an increase in education funding we want reforms that are going to get more money in the classroom and actually lead to better outcomes for our kids, not just pay raises for your superintendent who already makes over $150,000 a year. That’s our perspective, and it’s shocking how much administration, how much waste goes into our education system. Only 59 cents on the dollar actually go into funding the classroom, everything else goes into administration and other fees you cannot make headway on a better service. Even if you believe that the problem is funding, if you just keep shoveling more money into a fire pit you’re not going to get to spend it on anything. It’s just a very, very expensive system because all of the money stayed at the top and gets spent on things that don’t help the kids. So we fought that battle for six months, and some of the reforms are being considered now. It’s only when the Democrats have a shut down that they start to get sober about Maine’s fiscal reality. I think if they did a little bit more on the education reform front, there were two really important things to the governor that the Democrats are trying to get taken out, one is a state-wide teacher contract and another one is rural teacher pay equalization and I think if they were to go back and do those two things and then if they were to cut the spending back and make our revenue forecasts balance, where we spend money on things that we can afford to spend on and eliminate the one remaining tax increase, then they might be able to work out a deal. I think the governor has negotiated a tough deal, he’s compromised a little bit, but Governor LePage isn’t willing to sell the farm. In this case, Democrats want you to believe that they are going to take from the rich to give to the poor, however, what that really means is that they want to take from our kids and give to their friends. They want to mortgage the next decade or even the next decade after that so that their current special interests stay friendly with them. So that the special interests can get the policy they want and our kids will have to pay for it. Massachusetts’s income tax is almost half of what of Maine’s is. We only have about 5,000 households making about $200,000 a year and we need more families to do well, we need more jobs that pay a lot of money and Democrats want to tax everything they don’t like to try to get rid of it. But, when it comes to income they want to tax it and they think that it gives us more of it. The physics of money doesn’t work that way. If you tax something more, you get less of it. We need to be competitive and we need to be more like other growing states. We’re fighting to get back to a 7.1 percent income tax.